Sometimes it may so happen that when you are restoring your iCloud backup, it gets stuck and it can lead to numerous errors. Of course, it is a situation which you want to avoid and this is why we will be discussing the different errors you face and ways of fixing them too. With some smart software solutions, you can always fix such problems and restore complete backup easily. 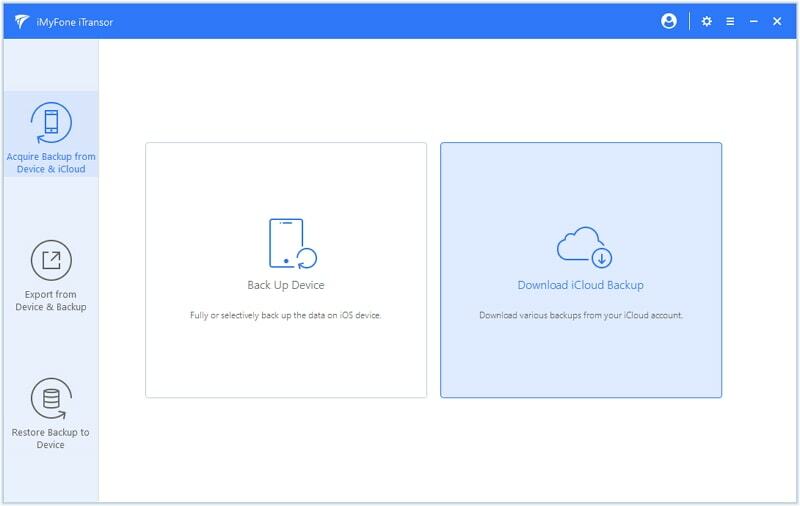 Here are some of the common errors which a lot of people face when they are restoring their iCloud backup, especially the iCloud backup for iOS 12. Many a times, it so happens that all the media which was present in the backup doesn't show up when you restore the content. Now, this can occur due to two reasons. If you haven't backed up your camera roll in the iCloud backup section, the photos were never stored in iCloud. Some people uncheck this option because only 5 GB of free space is available. If you want to fix this option, do the following. 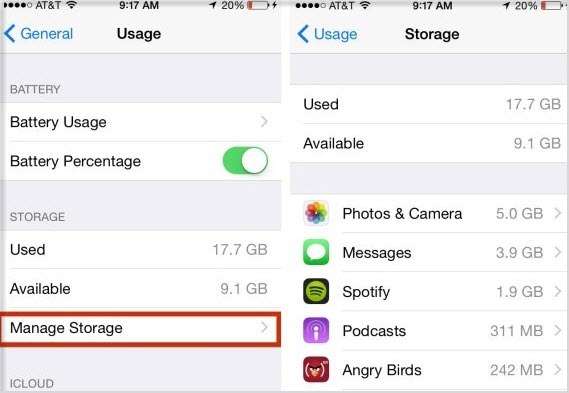 Head to 'Settings' and then to 'iCloud' and then tap on 'Storage and backup'. Now move to 'Manage Storage'. Now choose the device which is being backed up. Turn on the switch for the camera roll. The second reason is that sometimes it takes a longer time for the photos to appear. In this case, all you can do is wait and see if the backed up photo pops up on the camera roll. Sometimes the iPhone may display a message that your iCloud backup cannot be loaded. This may occur due to a problem with the iCloud servers. Here are the possible fixes for restore from iCloud stuck. Check iCloud system status: check to see if the servers are running orderly or else wait. Try to start once again from the scratch and see if it works. 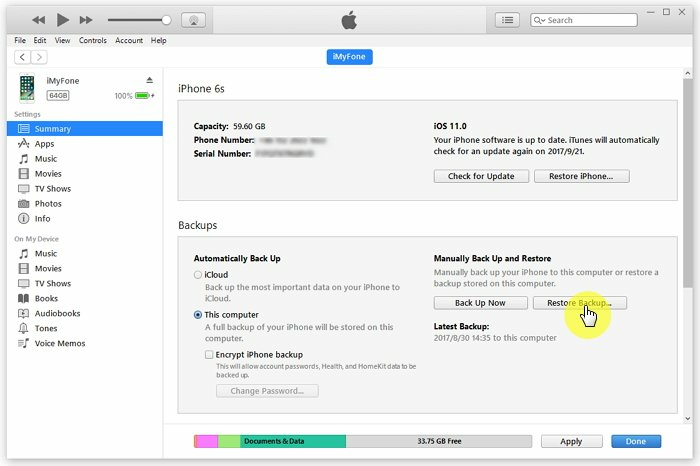 If you would like to deal with iPhone restore from iCloud stuck without computer, here is what you can do. You will be asked again if you really want to do this, click on 'Stop'. This should fix the iCloud restore stuck problem and you can now factory reset your iPhone and then restore from iCloud again. This should sort things out. If you have tried the solution above but find it useless, iMyFone iTransor, previously called D-Port Pro, may be a better choice for you. This application, highly recommended by Cult of Mac and Make Use of, is capable of restoring data from iCloud backup file to the iOS device selectively. Let us see what the salient features are. Selectively Restore data from iCloud backup to device without WiFi. 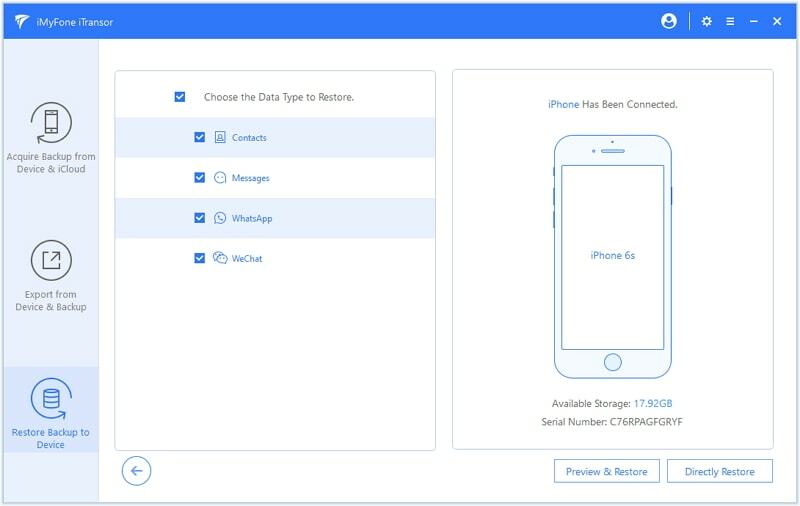 Flexible backup and restore Contacts, SMS, WhatsApp, WeChat data. 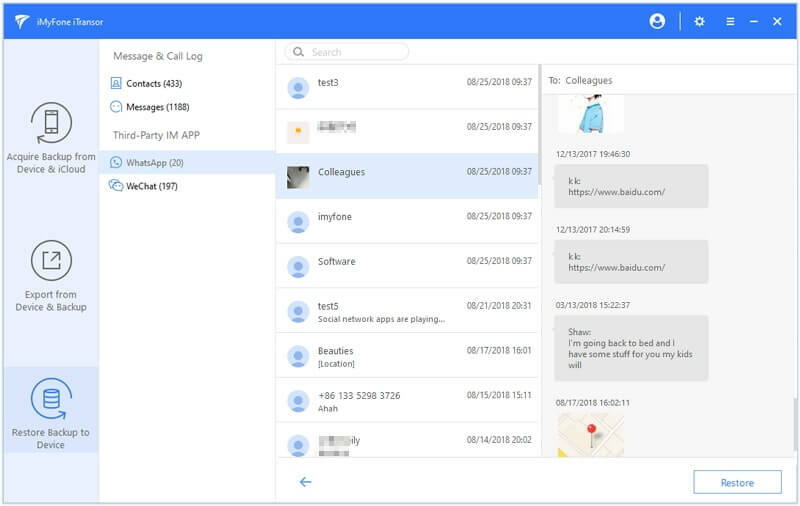 Supports to merge SMS, Contacts, WeChat, WhatsApp data in backup and target device. Extract 18+ types of data from the device or from backup. Compatible with the new released iPhone X, iPhone 8 and the iOS 12 beta version. Download and install iMyFone iTransor on your computer before you get started. 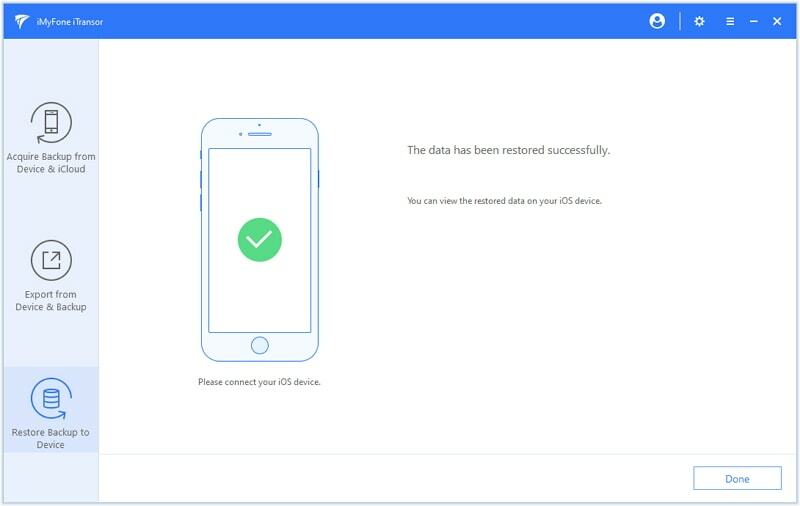 Now let us see how to restore iCloud data using this tool. Step 1. Download the iCloud backup you want to restore from Apple cloud server. Step 2. Choose "Restore Backup to Device" option and find the iCloud backup you just downloaded from the backup lists. Step 3. 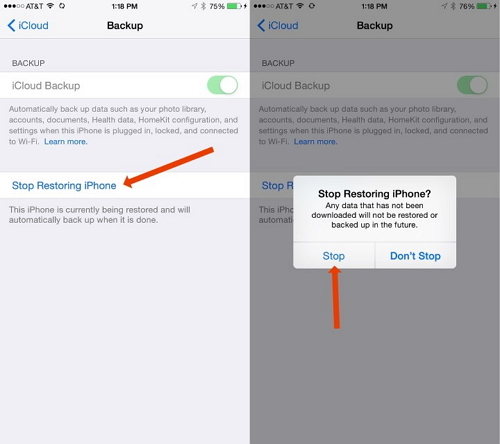 Choose the data types you want to restore from iCloud backup. 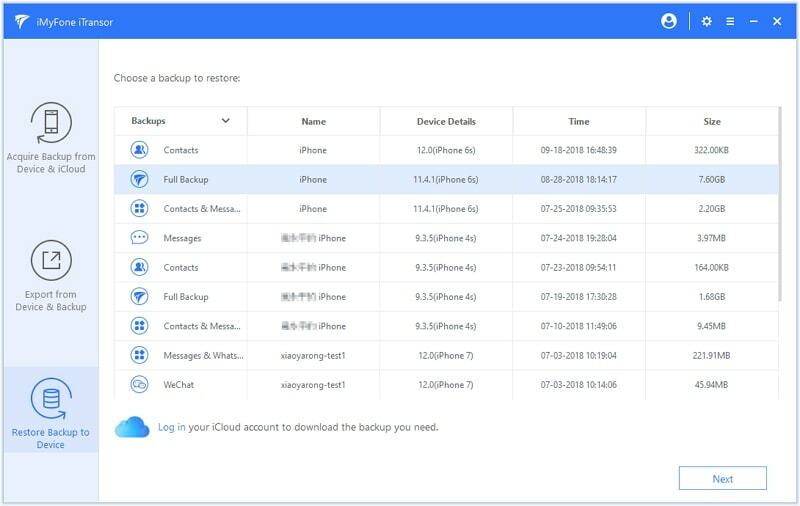 iTransor supports to restore only WeChat, WhatsApp, SMS, Contacts from iCloud backup for now. You can choose to preview before restore or restore directly. Step 4. If you choose "Preview & Restore", it will show the following screen. Step 5. Now, click on 'Restore' and the program will restore the data to your phone. That's it and you can have the data on your iPhone. The other data on your iPhone won't be overwritten. We have one more way by which you can restore the backup and we will see what that is. Open iTunes on your system to which you have connected your iPhone. When you have connected your iPhone, you will be prompted to enter the password or 'Trust this computer'. Now select the device when it pops in the iTunes. Now select restore backup in iTunes. If the backup is encrypted, enter the password. One of the key disadvantages of restoring with iTunes is that it leads to data loss - all the current data on your iPhone will be replaced. So now that you know these steps, you can choose whichever method you find best. One of the key things which you need to know is that iMyFone iTransor doesn't leads to any data loss. It is also user-friendly. So, fix the problems you are facing by selecting the appropriate methods.